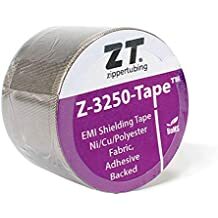 Zip On Rpu - Zip On - Trade Names - ZT | Zippertubing Co. This product line will feature one of Zippertubing&apos;s patented extruded pressure-closure tracks. Available in a wide variety of materials, the Z-Track, R-Track, EZ-Track®, or D-Track closures may be the right choice for you and your application. 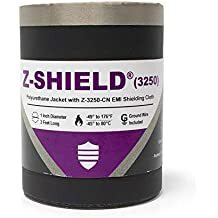 The outside protective jacket comes in multiple material options including PVC, Polyurethane, and Teflon extruded films. For extra ruggedness and durability, we also offer other Polymer-coated fabric materials. 0.375" 0.5" 0.625" 0.75" 0.875" 1.0" 1.125" 1.25" 1.375" 1.5" 1.625" 1.75" 1.875" 2.0" 2.125" 2.25" 2.375" 2.5" 2.625" 2.75" 2.875" 3.0" 3.125" 3.25" 3.375" 3.5" 3.625" 3.75" 3.875" 4.0" 4.5" 5.0" 6.0" 7.0"
The Zip-On® family of cable management products are as easy to install as they are to re-open. The Zip-On® (RPU) jacketing system utilizes our extremely tough, flexible, non-PVC polyurethane RPU-17 white exterior jacketing material. This material offers a very high degree of tear resistance while retaining good flexibility. The RPU-17 material is also flame-retardant with an operational temperature range of -40° to 71°C. Zip-On® (RPU) features the Z-Track (PFR) closure that is heat-sealed to the exterior jacketing material offering an extremely strong bond while ensuring long operational life. Since the EZ-Track® (TPU) pressure-track closure system is white, and the RPU-17 material is also white, the combination of those two options become a solid white, clean appearance, non-PVC cable management system. Refer to Zippertubing's RPU data sheet below for specific material characteristics. Cable Diameter 0.375" 0.5" 0.625" 0.75" 0.875" 1.0" 1.125" 1.25" 1.375" 1.5" 1.625" 1.75" 1.875" 2.0" 2.125" 2.25" 2.375" 2.5" 2.625" 2.75" 2.875" 3.0" 3.125" 3.25" 3.375" 3.5" 3.625" 3.75" 3.875" 4.0" 4.5" 5.0" 6.0" 7.0"